Want to know which artists are issuing all the DMCA take-downs of bootleg remixes and uncleared sampling of their music? Careful what you wish for, because now there&apos;s a comprehensive (and growing) list of 2,578 musicians that are actively policing any and all unauthorized samplings of their work, over at DontSample.Me. The site&apos;s main banner reads thusly, followed by a searchable database of each of the artists implicated. "Countless hours are wasted in the copyright battle between major labels and independent artists. This is the best list (to my knowledge) of all of the artists associated with big music labels that are issuing takedown notices across the internet." The site&apos;s "about" section goes on to explain DontSampleMe&apos;s creator Morgan Crozier&apos;s motivation for posting all this information, stating that he believes the ongoing takedown crisis "can be avoided and even removed entirely as a problem." "Independent musicians can stay out of trouble simply by avoiding improper use of any work associated with this list of artists ... This will empower a new generation of creativity and independent artists that isn&apos;t constantly feeding the pockets of people who don&apos;t care about you." "It&apos;s more possible than ever for independent musicians to be gain exposure and show their work to a mass audience. Technology has created new ways for us to create and sell our own music, from the production and mastering process to audience building and distribution, all without the involvement of contracts and major labels. 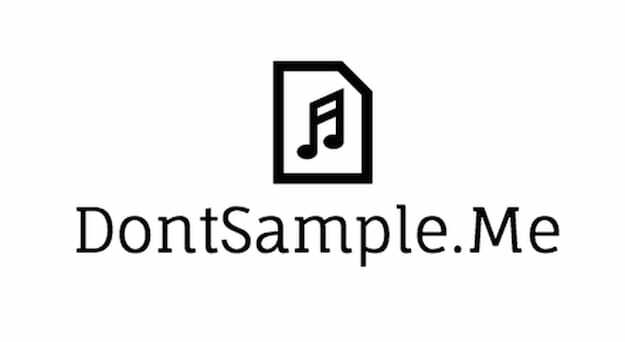 DontSample.Me can help artists stay out of trouble and avoid the waste of time and frustration that comes with DMCA takedown notices." What to make of all of this? We honestly couldn&apos;t agree more. The genie is out of the bottle and it is simply not going back in. The music industry has long since decided the path that they are going to take through this current era of sampling and remixing, and there isn&apos;t a damn thing we can do to change that path, aside from eking out a better one for ourselves as listeners and artists. The message from big labels policing these works should be crystal clear by now: "we do not want you to remix our repertoire and property, no matter how much you or anyone else would like it." Fine. Peace. Maybe it&apos;s time to relegate bootlegs back to their illegal status, finally recognize and treat them as such, because let&apos;s face it–lots of us are fine with breaking the law to some degree, and our actions on the internet have repeatedly shown as much. Let&apos;s start remixing and interacting with artists who are ready and willing to make these types of works a mutually beneficial action for all involved, the listening audience included. This problem is solvable, from our end, and the only step left is to solve it.